Breaking News! 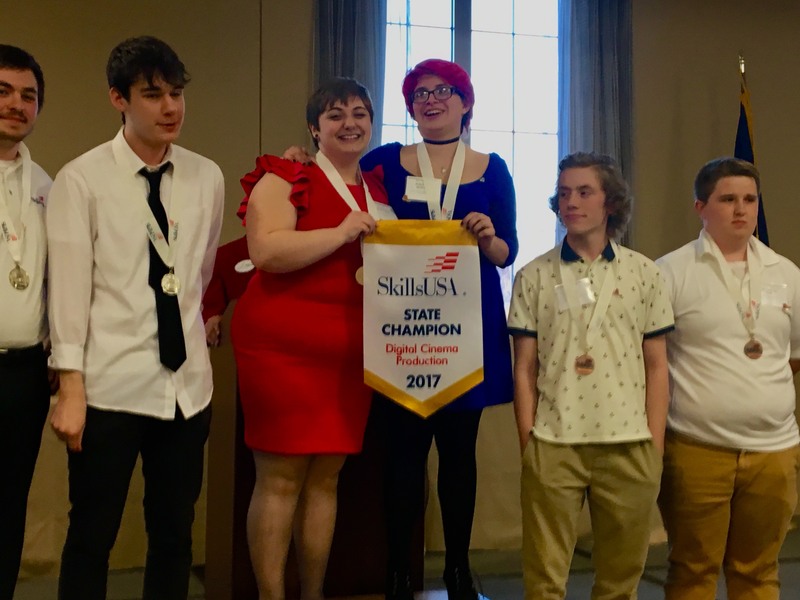 Digital Film Students Take Gold Medal at Skills USA. See their winning video HERE, and watch the interview HERE. The Digital Filmmaking program exposes students to a wide range of video projects, providing them with the opportunity to produce a number of videos including narrative films, documentaries, commercials, music videos, video journalism, or web series. Within these projects, students are given the opportunity to perform each of the production functions. Beyond these real world projects, students read (or watch) and analyze articles, movie scenes, and entire films. Graduates of the program are prepared to enter a two- or four-year college program in the film or communications field. Students applying to the program should possess a desire to learn about and practice visual storytelling, filmmaking techniques, and other computer technology, film theory, and journalism; they should have an interest in exploring a career in the filmmaking or television industry and an ability to work as a team player in a fast-paced environment; and a commitment to taking advantage of new learning opportunities.